Over the past few months, I’ve been trying to generate more content. In fact, I’ve done a lot of work to make sure my site generates a good amount of content every week. I’ve added streams, started to post photos from my travels around town and elsewhere, written articles about current topics, given helpful tips in many of my interest areas, and I still can’t get any love from Google. 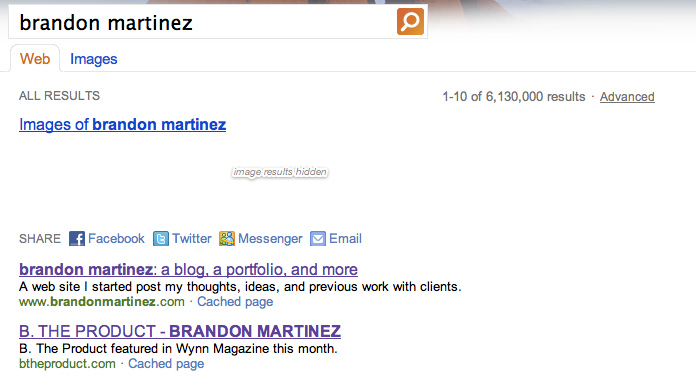 The other major search engines all think I’m good enough to be number one; Google, however, doesn’t seem to think so. What do you want from me, Google? We used to be best buds, and now you’re leaving me in second place. Can’t we be BFFs again? I promise I’ll write more, I’ll post more, I’ll flood forums with links to my site more often; anything you want, just put me back! Sorry, that’s been bothering me for months.